PHOENIX is turning to a defensive demon this time after being blessed with an offensive dynamo for the short term as import for the PBA Commissioner’s Cup. 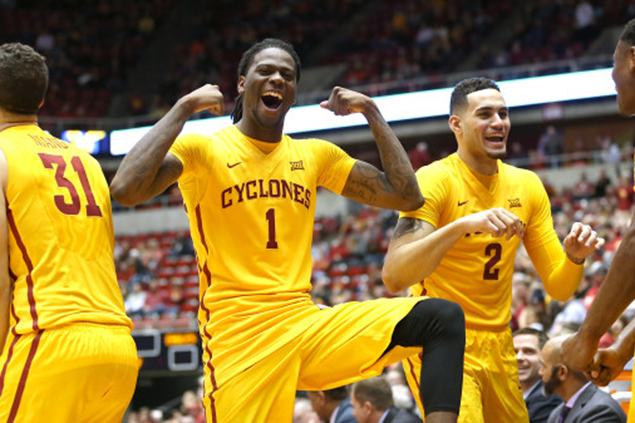 After being forced to let go of stand-in import Eugene Phelps, who exploded for 53 points and 21 boards in his first and only game this conference last Saturday, the Fuel Masters are tapping the services of former Big 12 Conference Defensive Player of the Year Jameel McKay. Phoenix coach Ariel Vanguardia and team manager Paolo Buguia confirmed the development on Monday when McKay arrived and participated in the team’s practice session in the afternoon. “He is a rim protector, runs the floor,” Vanguardia said to describe the 24-year-old McKay, who is listed at 6-9. After going undrafted in last year’s NBA Rookie Draft, the Iowa product took his talent to Australia and immediately anchored the Perth Wildcats in their National Basketball League championship run this month. McKay is set to make his debut on Wednesday against Star. Vanguardia assured the 6-foot-5 Phelps will return in the Governors’ Cup. “Eugene is family and he will be back in time for the third conference,” Vanguardia said. “We thank Eugene for joining us right after playing in Taiwan despite the short notice, but because he needs to rest before he joins his team in Puerto Rico on March 29th, it would be best to sit him out on Wednesday,” he added.